Two cast members from our recent sell-out production of ‘Oliver!’ at Liverpool’s Royal Court theatre have gone on to achieve further theatrical success. 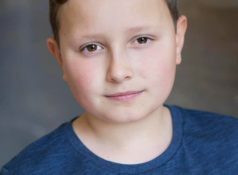 11 year old Harvey Jameson, who played one of Fagin’s Gang, has been cast in the role of Fleance (Son of Lord Banquo) in a forthcoming production of Macbeth. This professional production of the Shakespeare classic is running at The Epstein Theatre, Liverpool this March. 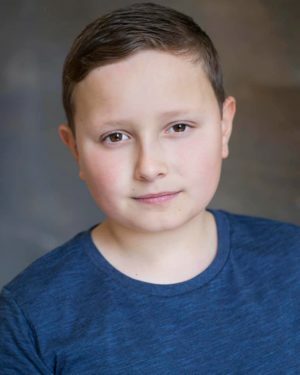 Harvey trains at Performers Theatre School and has previously performed in Bill Kenwright’s Productions of ‘Evita’ and ‘Joseph and the Amazing Technicolor Dreamcoat’. Congratulations must also go to 82 year old Jill Breckon, who has become the oldest person to have ever taken a London Academy of Music and Dramatic Arts (LAMDA) exam. 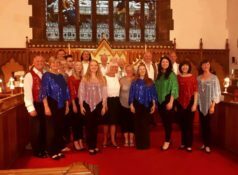 Jill performed as ‘Old Sally’ in our 2017 production of ‘Oliver!’, having been involved in amateur dramatics across Wirral for more than 50 years. She has also written and directed many plays, as well as being the wardrobe mistress for the open air Shakespeare productions for the Hillbark Players in Frankby. Having passed her Grade 6 LAMDA exam with Distinction, she is now working towards her Grade 7 and Grade 8 exams. Read more about Jill’s story here.